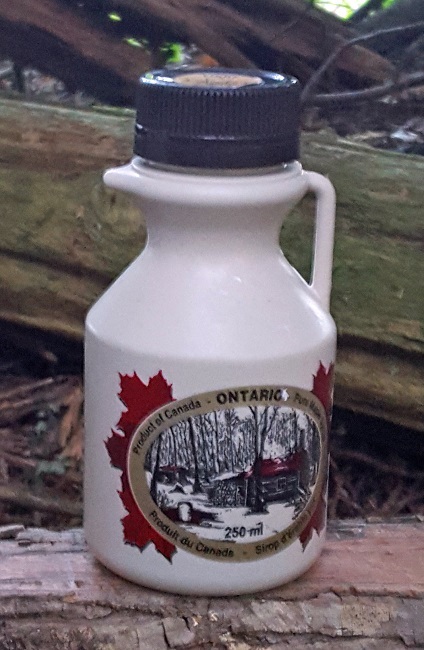 This 250ml Plastic Jug of 100% Pure Canadian Maple Syrup makes a great gift or souvenir for friends or family. 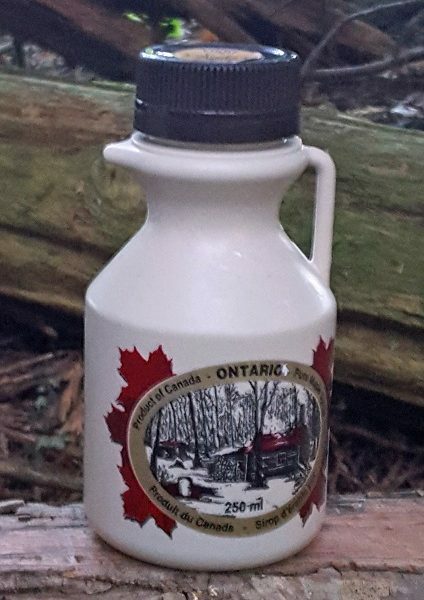 This 250ml Plastic Jug of 100% Pure Canadian Maple Syrup makes a great gift or souvenir for friends or family. 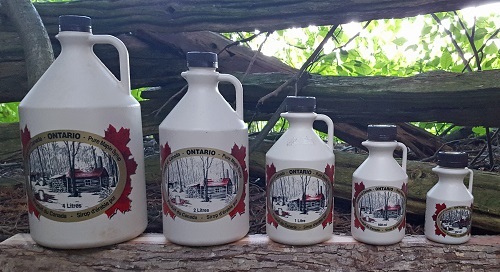 Our Maple Syrup is produced in the Southern Georgian Bay area in Ontario, Canada. We tap our trees in the early Spring both with pipelines and buckets and boil the syrup in our wood evaporator right in the sugar bush! See the How its Made page for more information!